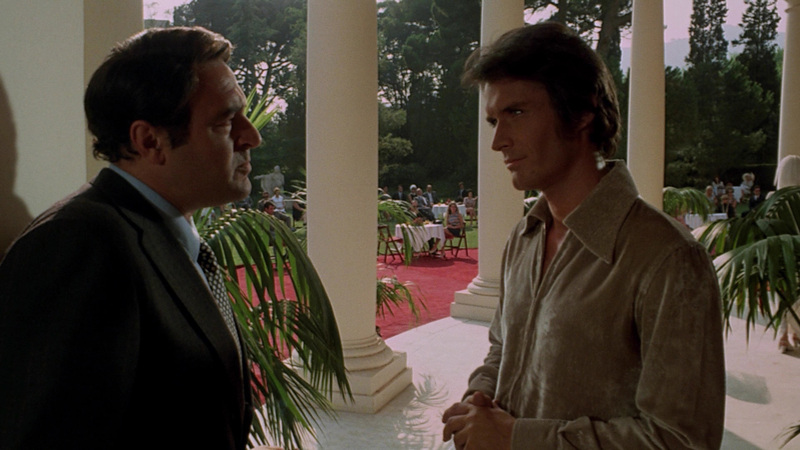 John Harrington (Stephen Forsyth) was born with a silver spoon in his mouth. 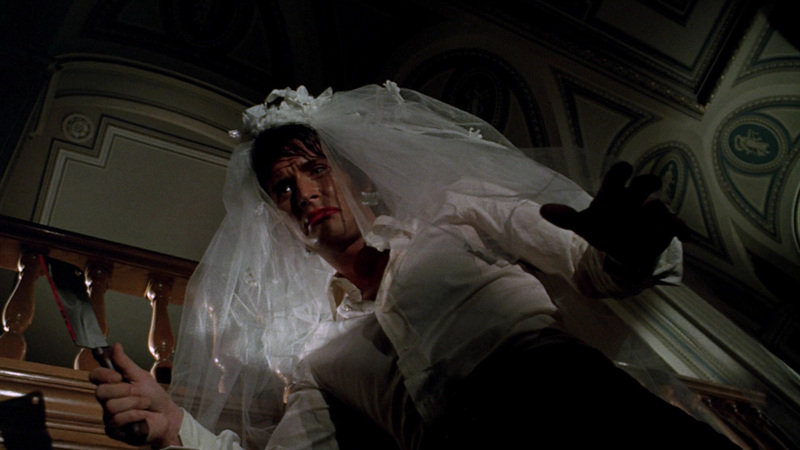 He lives in a mansion, he’s surrounded by beautiful women, he’s handsome, and he inherited his parents vast fortune and wedding gown modeling agency…oh and he’s a serial killer as well. 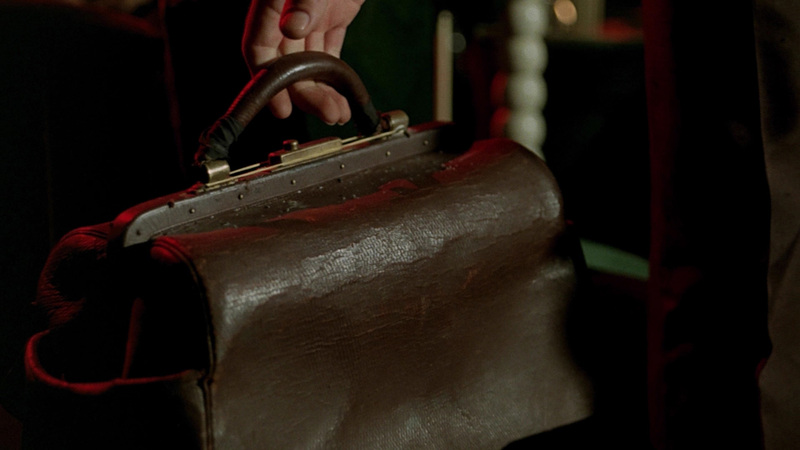 He lets everyone know that right away, after a nice double homicide aboard a train in the film’s intro. He’s killed five girls so far (doesn’t mention the men, but there’s at least one), and he’s a real nut job. Practically emotionless when around others, he lets loose in his secret room, filled with mannequins dressed in bridal gowns. On top of being batshit crazy, he’s also pretty stupid, as he’s been killing women from his agency. This nugget of a fact doesn’t go unnoticed by the police though, and they’re quite interested in the man. They can’t seem to pin anything on him, but they’re on to him. Much to John’s chagrin, he shares his mansion with his wife Mildred (Laura Betti), also wealthy, and is as unhappy as he can be with her. Mildred, who has an interest in ghosts and the supernatural, refuses to grant him a divorce, telling him he’ll never be without her. That’s not exactly the best thing to say to a psychotic murderer, which she’ll find out later. But in the meantime, back at the modeling agency, John is surprised in his office by a stunning young woman claiming to be related to one of the missing girls from the agency. Helen (Dagmar Lassander, House By the Cemetery) is incredibly confident and immediately wins John over, securing a modeling job and perhaps more. He’s pretty smitten with her, but not enough to stop his killing spree. As the cops move in, so do the walls in John’s psyche and things go anywhere but up for him. A mishap befalls the missus, at the hands of a wedding-veiled lunatic, and suddenly the movie takes an unexpected U-turn. To say anything more would ruin the movie for anyone who hasn’t seen it, but its safe to say that the final act is worth the slowly-paced wait of the first two-thirds of the film, and delivers some wonderfully eerie moments. 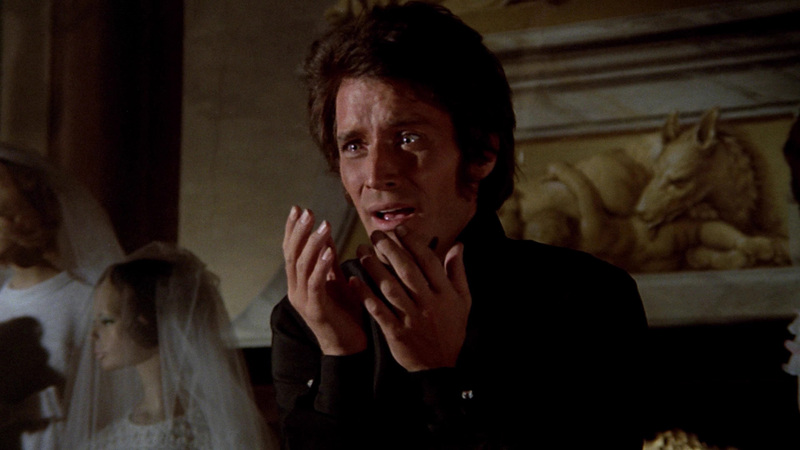 Having been the virgin viewing of the film for this horror fan, and not overly familiar with Bava’s work, there were really no expectations going in to this one. The movie pokes along pretty slowly and is void of anything gruesome, such as the U.S. titling of the movie might imply, but if nothing else the movie is visually striking. 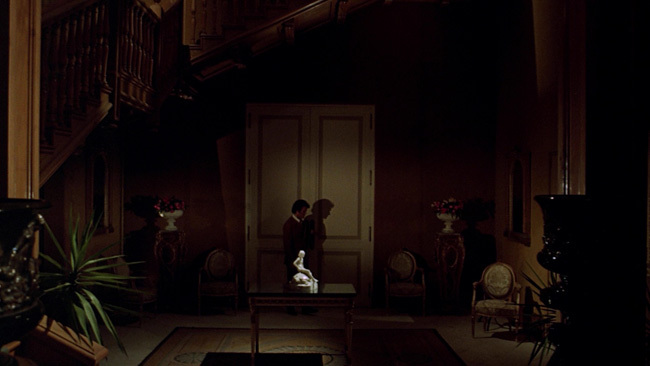 Bava also acted as his own director of photography (and according to the commentary was not something he did very often at that late point in his career), and does some interesting things with lighting and such. 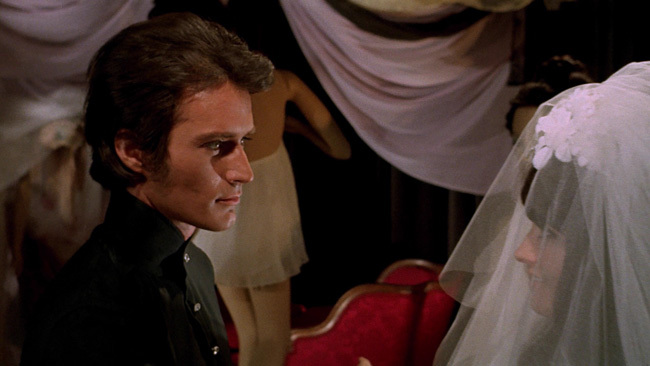 For example, there’s a segment where John is walking through his sanctuary of mannequin brides with half his face covered in shadow. As he gets closer to the camera, the shadow covers his entire face, then the other half of his face becomes visible. It has an intriguing effect, sort of like the happy/sad face symbol used in theater. 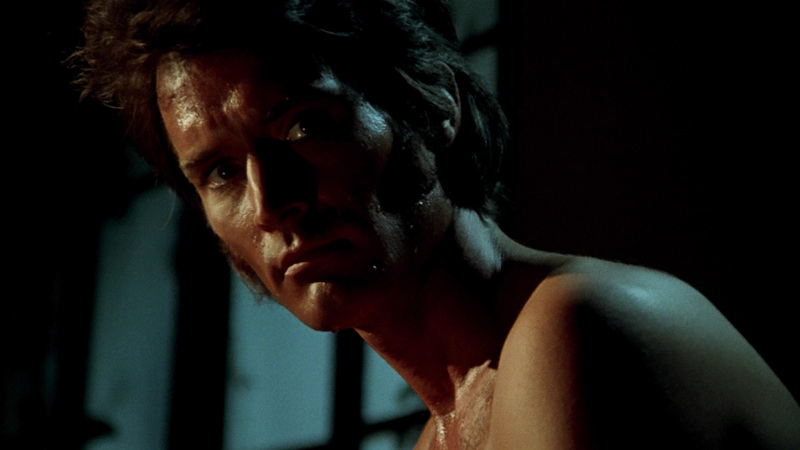 Forsyth’s performance is absolutely enhanced by the way Bava shot him, using different lenses at times, and of course the aforementioned lighting techniques. 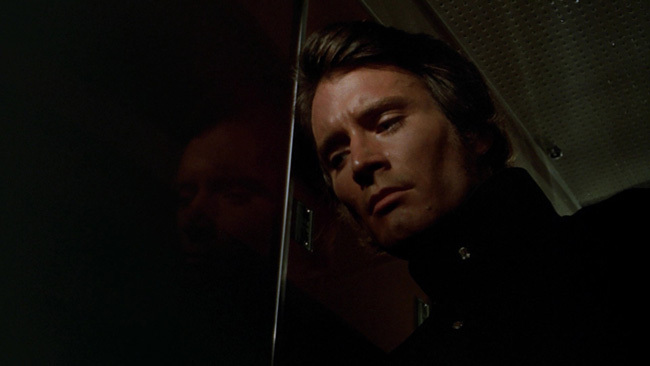 Even without Bava’s influence, he does a pretty decent job at being a whacko, even if it isn’t with quite the same flair as say Christian Bale in American Psycho (similar characters). But the show goes to Laura Betti as Mildred. Just her visual presence in the latter part of the movie may cause a shudder or two in even the more jaded horror fans. You might hate her when you meet her, but by the end, the hate should turn to fear. She becomes quite creepy and is really the most memorable part of the movie. The film is presented by Kino-Lorber for it’s high-definition debut with a 1080p AVC encoded transfer and an aspect ratio of 1.78:1. There’s plenty of natural grain, and as they appear to thankfully NOT do with their other Redemption Films titles, there doesn’t seem to be any digital noise reduction applied. Skin looks natural and there doesn’t seem to be any annoying edge enhancement. The colors are quite nice and some of those great 60s fashions look pretty sweet. There is damage to be seen, mainly in the form of white specks, but it’s never a distraction. All and all this film looks great. The sound is nothing fantastic, but the job gets done. The 2-channel mono track has quite a bit of hiss on it, but the dialogue is clear and the music sounds excellent. The groove that plays during the fashion show…so awesome. 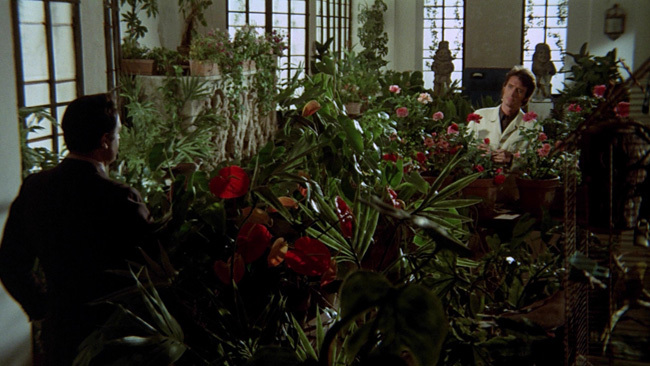 The extras include some HD trailers for other Bava films and a new commentary by Video Watchdog editor Tim Lucas. Although kind of dry, the commentary is full of great information and interpretation. Lucas knows his stuff and has lots of it to share. Watch the movie with the commentary on after you’ve already seen it and you may walk away with a better appreciation of the film. 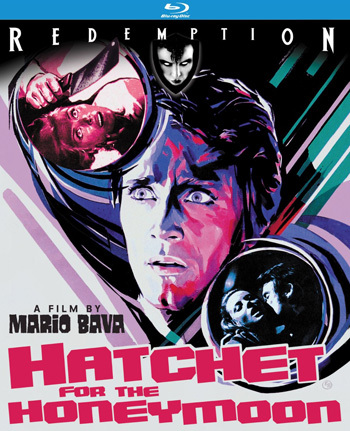 Loaded with atmosphere, Hatchet for the Honeymoon may not be the best of the best, but it certainly has plenty of merit. A solid presentation by Kino and a good commentary up the ante on the release, making it a no-brainer for the fans. Newcomers to the Maestro may want to start with his more popular works first, but still can’t go wrong with picking this one up.